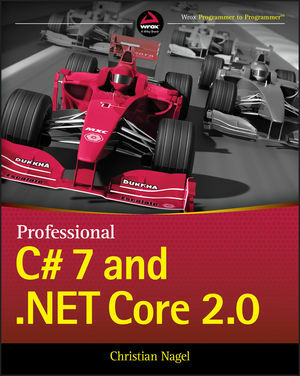 Professional C# 7 and .NET Core 2.0 provides experienced programmers with the information they need to work effectively with the world’s leading programming language. The latest C# update added many new features that help you get more done in less time, and this book is your ideal guide for getting up to speed quickly. C# 7 focuses on data consumption, code simplification, and performance, with new support for local functions, tuple types, record types, pattern matching, non-nullable reference types, immutable types, and better support for variables. Improvements to Visual Studio will bring significant changes to the way C# developers interact with the space, bringing .NET to non-Microsoft platforms and incorporating tools from other platforms like Docker, Gulp, and NPM. Guided by a leading .NET expert and steeped in real-world practicality, this guide is designed to get you up to date and back to work. With Microsoft speeding up its release cadence while offering more significant improvement with each update, it has never been more important to get a handle on new tools and features quickly. This book is designed to do just that, and more—everything you need to know about C# is right here, in the single-volume resource on every developer’s shelf. Whether you’re entirely new to C# or just transitioning to C# 7, having a solid grasp of the latest features allows you to exploit the language’s full functionality to create robust, high -quality apps. Professional C# 7 and .NET Core 2.0 is the one-stop guide to everything you need to know. Christian Nagel is a Microsoft MVP for Visual Studio and Development Technologies, software architect, and veteran developer who has been building solutions with .NET technologies since 2000. He has authored many acclaimed .NET books, and he also speaks at such international conferences as Ignite (formerly TechEd) and Tech Days. A supporter of .NET user groups, Christian is a Microsoft Certified Trainer and Professional Developer for Universal Windows apps, ASP.NET Core, and Microsoft Azure. Visit us at wrox.com for free code samples. Below the heading, "Structs Are Value Types"
With .NET, parameter types are covariant. Assume? Return types of methods are contra-variant. When a method? Return types of methods are covariant. When a method? & | ^ &DiacriticalTild; && &boxV ; !